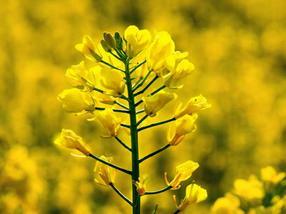 Rapeseed blossoms, TU Muenchen’s research station Roggenstein. 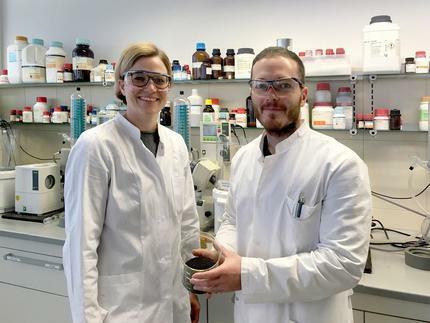 Corinna Dawid and Christoph Hald presenting a glass beaker with rapeseed in their laboratory. One reason is that the accompanying substances contained in rapeseed strongly impair the taste of the obtained protein isolates. These substances include, for example, very bitter-tasting secondary plant constituents. Hofmann and his team therefore looked into the issue of which bitter substances cause the rapeseed protein's unpleasant bad taste.